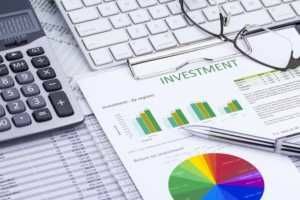 What is a Structured Investment Vehicle (SIV)? A structured investment vehicle (SIV) is a non-bank financial entity set up to purchase investments designed to profit from the difference in interest rates – known as the credit spread – between short-term and long-term debt. The long-term debt investments frequently include structured financial products like asset-backed securitiesMarketable SecuritiesMarketable securities are unrestricted short-term financial instruments that are issued either for equity securities or for debt securities of a publicly listed company. The issuing company creates these instruments for the express purpose of raising funds to further finance business activities and expansion. (ABS), mortgage-backed securities (MBS), and credit cards securitizations. Hence the name, structured investment vehicle. The investments are financed by the SIV issuing commercial paper and using the capital thereby obtained to buy long-term debt securities that pay a higher yield than the commercial paper issued by the SIV does. The commercial paper obligations are continually rolled over, so that the entity does not have to liquidate its long-term investments prior to maturity. SIVs are also known as conduits because they create a permanent channel for capitalizing investments. SIVs are operated by a professional investment management team, and are less regulated than other investment pool vehicles, partly because they are typically established as offshore companies specifically to avoid regulations that banks and other financial institutions are subject to. SIVs enable the managing investment team to earn higher returns on investment by leveraging investments in a way that banks cannot due to capital requirements set by the government. Prior to the 2008 financial crisis, SIVs were frequently held as off-balance-sheet assets by banks. Nicholas Sossidis and Stephen Partridge created the first structured investment vehicles at Citigroup in 1988. The two London bankers launched Alpha Finance Corp and Beta Finance Corp as a response to the volatility of the money market at the time. Investors were unsatisfied with the unpredictable returns in the money market and were looking for a stable vehicle that would yield more stable returns on their investments. Alpha Finance offered a maximum leverage of five times its capital, with each asset requiring 20% of capital, while Beta Finance provided a maximum leverage of 10 times its capital with leverage based on the risk weightings of its assets. The pioneers of the two Citigroup SIVs later left the bank to establish their own financial management firm, Gordian Knot, in Mayfair, London. Subsequent SIVs raised their leverage to 20 and 50 times, and the number of SIVs gained traction rapidly. By 2004, there were 18 SIVs valued at $147 billion. In 2007, Moody’s Investors Service rated 36 SIVs with a value of $395 billion. However, when the 2008 financial crisis erupted, most SIVs were either restructured or became distressed and failed because of their heavy investment in sub-prime mortgage-backed securities. Many investors were caught unaware because little was known about SIVS and what assets they had invested in. Toward the end of 2008, no SIVS remained in operation. A structured investment vehicle (SIV) is a type of special purpose vehicle that earns a profit on the difference in interest between long-term securities and short-term debts. A special purpose vehicle (SPV), on the other hand, refers to a broad category of investment vehicles that may qualify as on-balance-sheet or off-balance-sheet items. An SPV is created for a specific purpose and used by companies to isolate the originating firm from financial risk. Most SPVs are set up as orphan companies by depositing assets in a trust and hiring an administrator to provide professional management and to ensure that there is no direct financial connection with the parent institution. SIVs are specifically funded by issuing commercial paper, but SPVs may be funded in a variety of ways, including the issuance of equities and long-term bonds. Both SIVS and SPVs are commonly registered as offshore companies to avoid paying higher taxes in the home country of their parent institutions and to avoid strict financial regulations.